excellent topo et graphes à l'appui ..
une autre étude statistique sur le sujet, faite par le mathématicien , John Peterson ..
bref et comme pour l'étude de Dimitri Speck, la confirmation statistique de ce que tout un chacun, qui observe régulierement les séances intraday du cours de l'or.. peut constater en toute objectivité..
ceux qui continuent à nier le phénoméne- en renvoyant à l'anathéme de la théorie du complot - sont soit des aveugles... soit des personnes ( et je penche pour cette solution ) qui n'ont jamais pris le temps d'observer le déroulement des séances au quotidien, réguliérement...et pendant de nombreuses années ..
Après les travaux de Dimitri Speck et John Peterson .. une autre démonstration plus récente, et tout aussi graphique du mode opératoire de nos habituels suspects, sur ce qu'on appelle par dérision, le CRIMEX..
Part three of my CFTC trilogy. I am finished now, that's a lot for them to chew on. At least it's on record that they knew when it all goes kablooey. This is a second follow-up to my original letter to you on May 20th, 2011, and will be my final correspondence at this point. 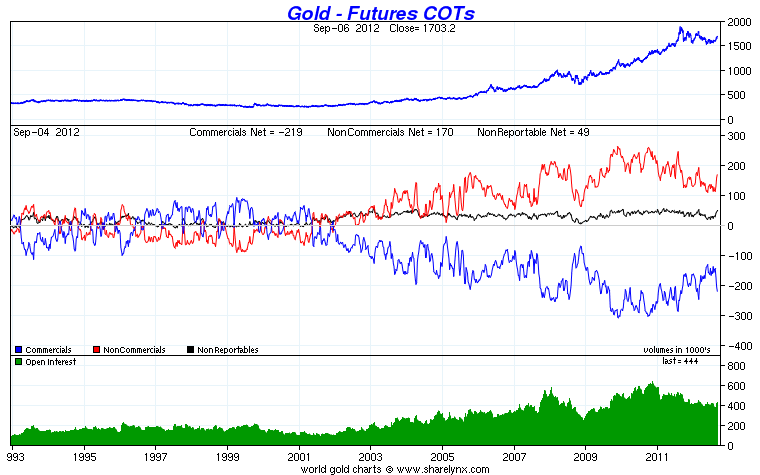 I have further examined the outrageous nature of the PM gold fix (during Comex trading) and its relation to the AM fix. (pre-Comex trading) This time I took a 5-year look back, while additionally including the first 106 trading days of 2011. During this time from January 1, 2006 to present gold rose 303% yet incredibly you would never suspect it if the Comex was the only measure of price discovery. You have to marvel at such comatose gold action in a venue that is supposed to be the leader in price discovery for the world. The evidence suggests that the Comex not only isn't a leader in price discovery, it is in fact an obstacle. For nearly a 5 1/2 year period there was a zero chance of gold exceeding 4% gains, and only an 0.4% chance of gold gaining 3%. Furthermore even 2% gains only had a 1.2% chance of happening. Even that is misleading, for if you throw out a couple weeks of volatility in 2008 gold virtually NEVER exceeded 2%. The 303% gains in gold from 2006 to 2011 came in spite of the PM fix having an 85% chance of either being lower, or marginally higher. As expected the weakness patterns held consistent, with the London close and post-London close being the preferred tape-painting zones. This leads me to some key questions. Is tape-painting considered acceptable trading behavior? If so why? What legal reason could account for this 5-year pattern of selling by (likely) concentrated shorts? What legal trading can ensure an 85% success rate for selling the AM fix at +$5, then buying it back on the PM fix? Or conversely how many novice gold long traders get washed out for being too naive to know the failure rate is 85% when buying near the AM fix? Can you identify a single other commodity with this bizarre trading pattern? I am certain that a 10-year, or even a 15 year look-back will produce similar percentages and results. I realize there were previous CFTC commissioners who may not have had this brought to their attention but this just simply cannot go on forever without some ultimate unintended consequence. In this case an ounce (of gold) prevention will be worth MANY pounds of cure. Manipulative short sellers are just as serious as manipulation by longs. It is always ruinous to free markets when price discovery is perverted for too long . 145 pages de graphes intraday or et argent... pour ceux qui n'observent pas ça au jour le jour, c'est une pépite ..
throughout 2010, and second that it “changed” after 11/9/10, becoming more intense and calculating. and SEE them actively suppressing gold! law enforcement, this report alone would end their deliberations with a guilty conclusion, period! belief that the CFTC is on the side of the people). 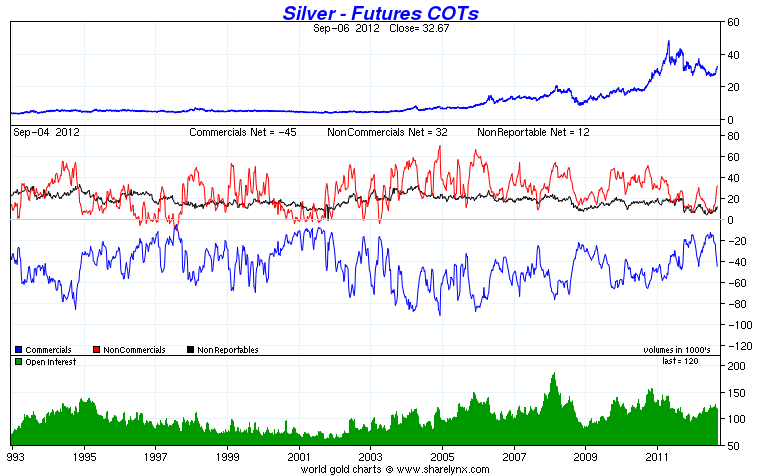 and silver markets, particularly the “granddaddy of fraudulent paper trading”, the NY COMEX. and silver markets to finally trade freely, which will obviously lead them to dramatically higher prices. This outcome is inevitable either way, but better sooner than later! indispensable pour ceux qui se demandent encore, pourquoi les cours de l'or ( et de l'argent ) décrochent à certains horaires précis, toujours les mêmes ! en ce qui concerne l'argent métal, pour lequel Dimitri n'a pas fait de graphes, ce phénoméne dure depuis au moins 1987 ! et je dois ajouter et insister une nouvelle fois sur le fait que ce phénoméne très rare, concerne uniquement les futures de l'or et de l'argent ! et qu'inévitablement, cette situation conduira à sa perte, c'est une question de temps !